We will start accepting applications immediately for AY 2020-2021. The Department of Anatomic Pathology at the H. Lee Moffitt Cancer Center is pleased to announce the inaugural opening of a Head & Neck/Endocrine Pathology Fellowship Program. The program is a one-year fellowship based at the Moffitt Cancer Center and Research Institute (MCC). The Head & Neck/Endocrine Pathology Fellowship will provide a broad exposure, along with in-depth training in all aspects of neoplastic and non-neoplastic head and neck and endocrine pathology. Opportunity exists to enhance the diagnostic and clinical correlative skills and competency of the fellow in order to be able to pursue a successful career in the academic, community hospital, and practice settings. The fellow will have eight months of clinical service, including consultation service and surgical bench, and teaching responsibilities. Four months will be dedicated to the following rotations: cytopathology (2 months), research (1 month), Molecular Diagnostic Laboratory (1 month), exposure to the remaining CCSG Cores and the QA/Lab Management topics (1 month). Moffitt Cancer Center is a premier hospital with NCI/NIH Comprehensive Cancer Center designation. The University of South Florida and The Anatomic Pathology Department at MCC offer fellowships in Cytopathology, Surgical Oncologic Pathology, Gastrointestinal and Liver Pathology, Breast, Dermatopathology, Molecular Pathology and Hematopathology. 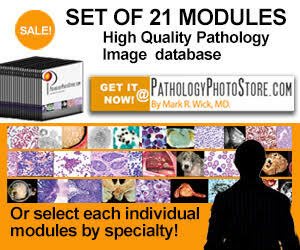 Case material includes 300 biopsies, 850 routine specimens, 500 review cases and greater than 1,000 outside expert consultation cases per year. Integration with Head & Neck, and Endocrine Tumor Program includes participation in weekly Multidisciplinary Tumor Board, translational research projects, and operating room. Requirements: Applicants must have at least three years of AP training or four years of AP/CP training in an ACGME accredited program and must be eligible for AP or AP/CP boards. The program has a preference for candidates who are already board certified. Stipends: Commensurate with level of post graduate training. For application please contact the Fellowship Education Coordinator, Lorie Jennings, at lorie.jennings@moffitt.org. Description: The Head and Neck Pathology Fellowship program is a one-year program geared towards advanced study in diagnostic surgical pathology with emphasis on Head and Neck and Thyroid Pathology, including neoplastic and non-neoplastic diseases. The fellow will supervise resident grossing and previewing before signing out the cases with the attending pathologist and will take an active role in intra-operative consultations. The fellow is primarily responsible for the consultative services and the multidisciplinary clinical-pathological conferences for Head and Neck and Thyroid Oncology. In addition to surgical pathology rotations in these areas, the fellow will have clinical rotations in Head and Neck and Thyroid clinics. Elective rotations are available with opportunities for clinical and translational research as well as training in Laboratory Management and Pathology Informatics. Requirements: Applicants must be Board eligible or certified in Anatomic Pathology/Clinical Pathology or Anatomic Pathology. Stipends: Commensurate with the applicant's year of postgraduate training. Applications: Candidates should submit by email the JMH/UM fellowship application, curriculum vitae and three letters of recommendation to the Fellowship Program Director and copy the Fellowship Program Coordinator. We are currently accepting applications for academic year 2020-2021. The Head and Neck/Endocrine Pathology Instructorship program provides advanced clinical diagnostic training and sign-out experience involving a wide range of head and neck (H&N), salivary gland, thyroid and parathyroid specimens. Emory University's H&N cancer program is one of the largest in the country and continues to expand, incorporating specialized surgical modalities such as robotic surgery and endoscopic skull base resection as well as proton therapy. A large variety of benign H&N specimens are also examined from Emory's renowned Otolaryngology Department of more than 30 faculty, including laryngologists, rhinologists and otologists. The thyroid surgery program is very active and provides excellent case material in thyroid pathology. An active institutional program in oral and maxillofacial surgery, as well as an oral pathology outreach program, offers a rich and uniquely diverse training experience. The H&N service currently includes two subspecialty H&N-trained pathologists and one oral and maxillofacial pathologist. A growing consultation service provides experience in addressing more diagnostically difficult and unusual specimens. There is an active translational research program in H&N diseases within the Department of Pathology and in collaboration with oncologists, surgeons and radiologists. The instructorship provides a period of active training during the first part of the year followed by graduated responsibility allowing for supervised sign-out of cases and intraoperative consultations. The year-long instructorship is based at Emory University Hospital Midtown, where the Emory H&N program is primarily located. Instructors will have close interaction with clinical specialists through participation in intraoperative consultations, weekly H&N tumor boards and monthly thyroid tumor board. Elective time is also available for experience in other services. Ample opportunity for research exists and is encouraged. 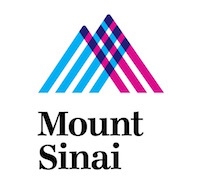 The Mount Sinai Health System Department of Pathology in New York City offers a one-year fellowship experience in Head and Neck Pathology, directed by Dr. Margaret S Brandwein-Weber, Professor of Pathology and Site Chairman. This fellow will have the opportunity of training in one of the most robust, dynamic, academic multidisciplinary settings, and the expectation of graduated sign-out responsibilities and independent intraoperative assessment in newly renovated facilities. He/she will be encouraged to participate in ongoing translational research projects which include an innovative computational pathology platform. The fellow must have completed a residency in either Anatomic Pathology (AP) or Anatomic and Clinical Pathology (AP/CP) and be eligible for a New York State Medical License. Occasionally, fellows are accepted in the middle of training, but most are in their 5th or 6th year of training. Stipends are commensurate with the level of postgraduate training in Pathology.